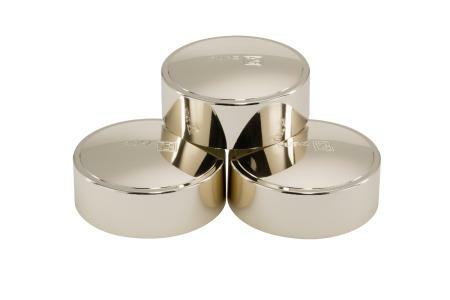 Leonhard Kurz has developed a new decoration method for plastic sealing caps, which enables true metal layers to be applied without electroplating. The patent-pending Kurz CAP-tivate Luxury process creates a high-gloss metallic finish that is very similar in appearance to electroplating. At the same time, it fulfills the very stringent chemical resistance requirements of, for example, the cosmetics industry. While achieving a comparable decoration result to electroplating, this coating process is very different. Kurz CAP-tivate Luxury is a dry transfer process that can be performed in-house during and immediately after the injection molding process, thereby eliminating the need for outsourcing. It is not subject to special environmental requirements, even when producing true chrome coatings. The yield achieved with this decoration method is significantly higher than for electroplating, which makes it substantially more cost-effective, in particular for large production runs. The Kurz CAP-tivate Luxury process can be used not only to produce a homogeneous metallic appearance, but also a wide variety of design finishes. It is possible to combine metallic tones and non-metallized colors in an arbitrary manner, or to integrate corporate design colors. Wood, carbon, marble and pearl designs or holographic designs, for example, can also be produced. Different gloss levels can be implemented as well, from a mirror-finish piano lacquer look, to a soft matte finish, right through to a striking brushed metal look. Besides being able to produce a wide range of visual finishes, it is also possible to appeal to the tactile senses. Kurz CAP-tivate Luxury can be used to generate surfaces with a soft touch effect or tactile structures. 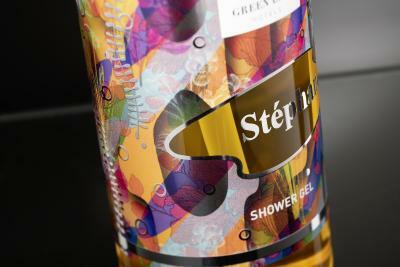 When using this dry finishing process, switching designs is as simple as exchanging the foil roll, which provides a great deal of flexibility in design selection. This decoration technique can therefore be optimally employed not only for large production runs, but also for small and custom runs. 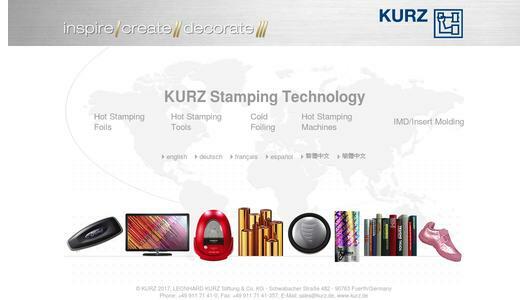 The KURZ Group is a global leader in hot stamping and coating technology. KURZ develops and manufactures decorative and functional layers applied to carrier foils for a large variety of applications. 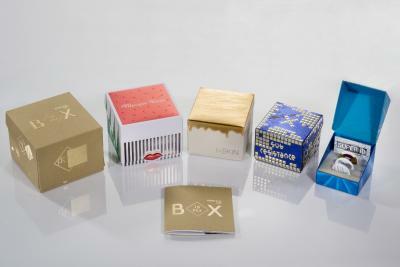 The range includes metallized, pigmented and holographic stamping foils for packaging or print products, surface finishes for electronic devices or automotive parts, protective and decorative lacquers for furniture or household appliances, authenticity features for brand name items, metallic applications for textiles, and different types of coatings for many other applications. 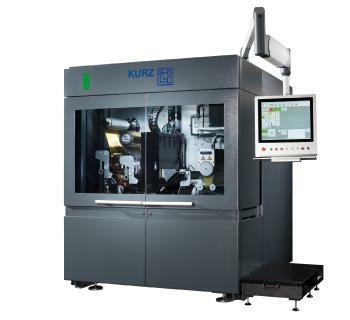 With 4,900 employees in twelve production plants in Europe, Asia and the USA, 24 international subsidiaries and a global network of agencies and sales offices, the KURZ Group manufactures and sells a comprehensive range of products for surface finishing, decoration, marking and counterfeit protection, rounded off by an extensive range of stamping machines and stamping tools. KURZ also continuously invests in new technologies, and is developing innovative solutions for integrating functionality into surfaces.